• AIASTL Design Awards will accept entries from firms located in the Greater St. Louis region. We will also accept entries from firms outside of the Greater St. Louis region who have projects located in the Greater St. Louis Region. The categories for AIA St. Louis Design Awards will be: Interiors, Architecture, Small Projects, Unbuilt/Master Planning, Drawings and Craftsmanship. • Central States Region Design Awards will accept entries from firms location in the CSR (Iowa, Kansas, Missouri, Oklahoma, Nebraska). We will also accept entries from firms located outside of the CSR, but whose entry project is in the CSR. The categories for CSR Design Awards will be: Interiors, Architecture, Small Projects and Unbuilt/Master Planning. We will open the submission in mid to late May 2019. 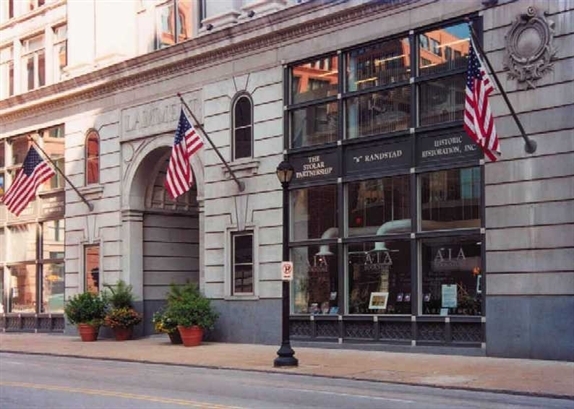 Please check back at that time,or you are welcome to inquire at member@aia-stlouis.org -- or call at 314-621-3484. To view AIASTL 2018 Design Awards honors, click here. • 2017 Design Awards, click here. • 2016 Design Awards, click here.